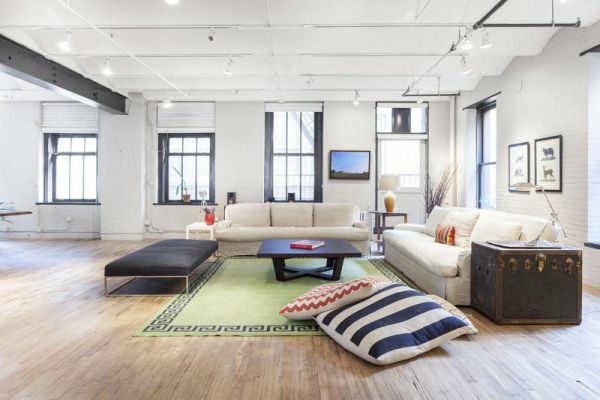 This two-bedroom, two-bathroom loft can be found in Noho, Manhattan, New york. It’s a spacious apartment with a huge living area. But it’s not just the size that caught our eye. This place also features a very interesting interior design. The mix of styles is somewhat unexpected. It’s not a typical modern New York apartment and this allows it to gain character and personality.